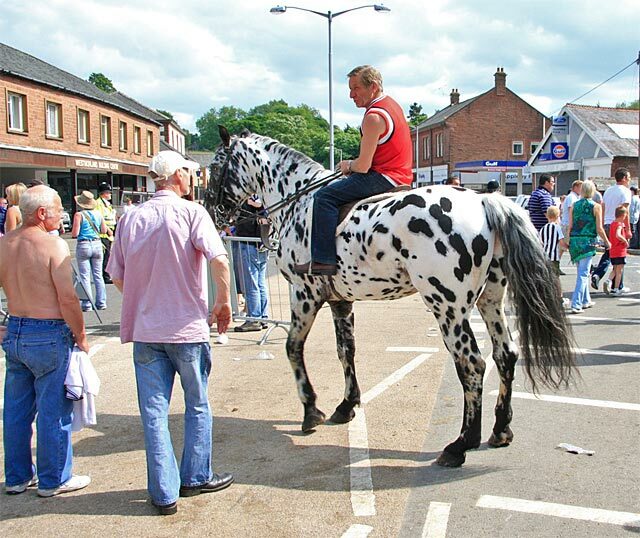 Appleby Fair. 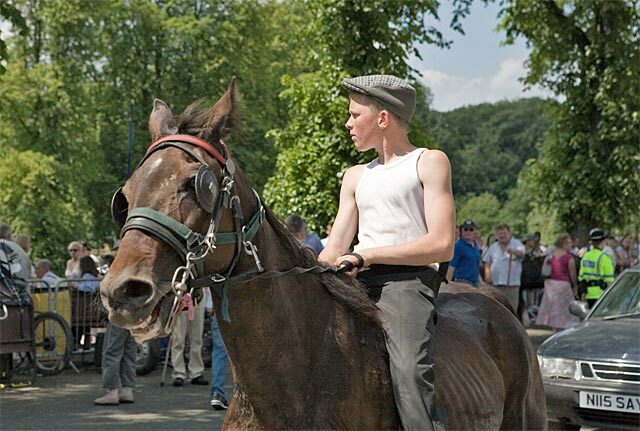 Photo by Andy Hibbert. 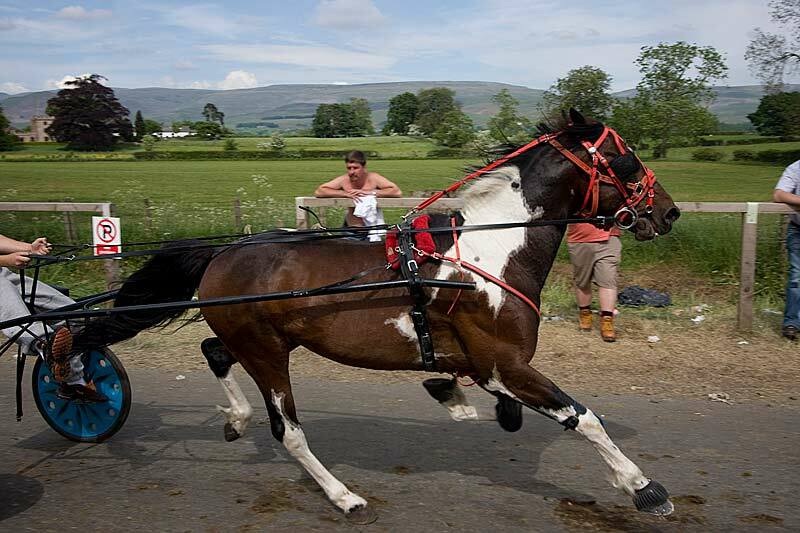 Appleby Fair runs for a week in June, ending on the 2nd wednesday in June, in the town of Appleby-in-Westmorland, Cumbria. 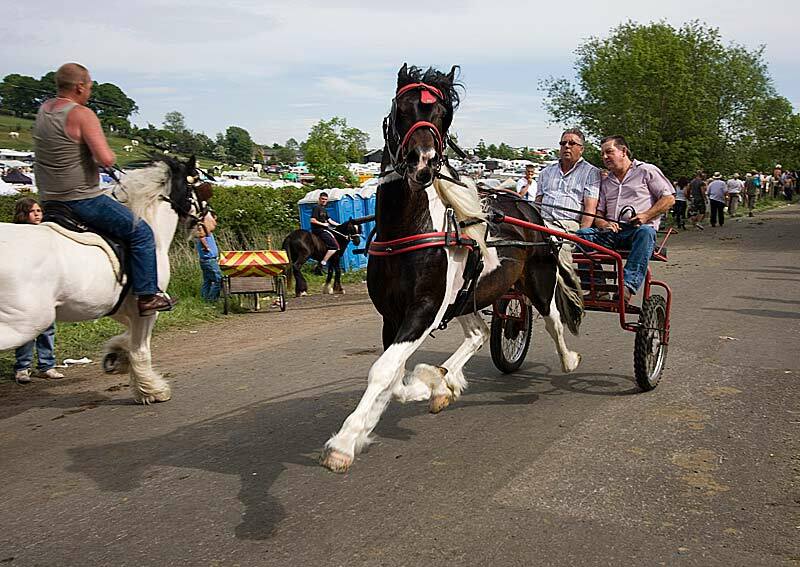 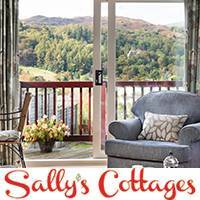 It is probably the best known of the horse fairs attended by Romany families travelling to meet up with old friends and conduct business. 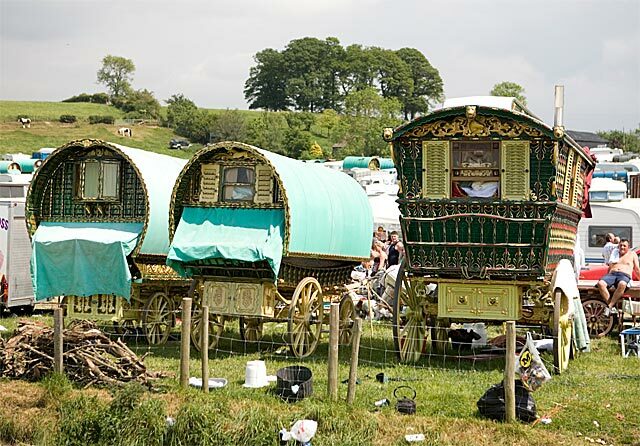 It is world famous, the largest of its kind in the world, having existed as a fair for horse trading since 1685, and attracts a huge gypsy gathering. 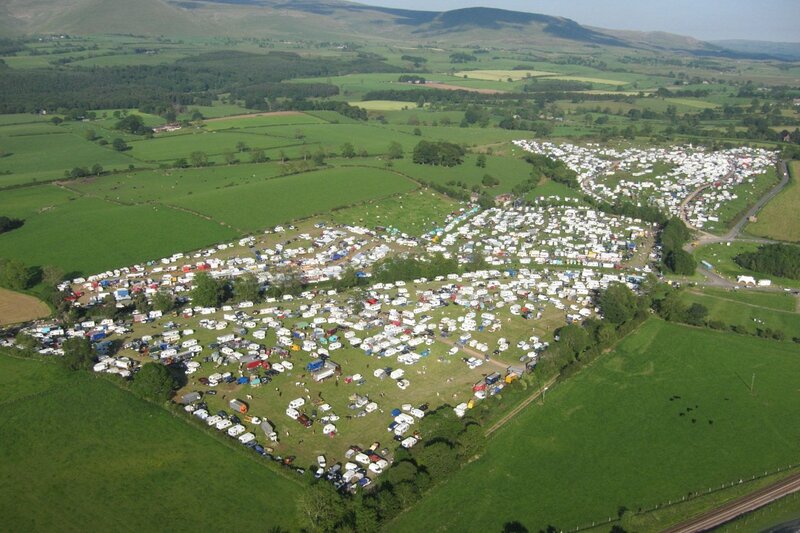 The field on the outskirts of Appleby originally known as Gallows Hill, due to its usage in earlier times is now called Fair Hill and looks over the town of Appleby. 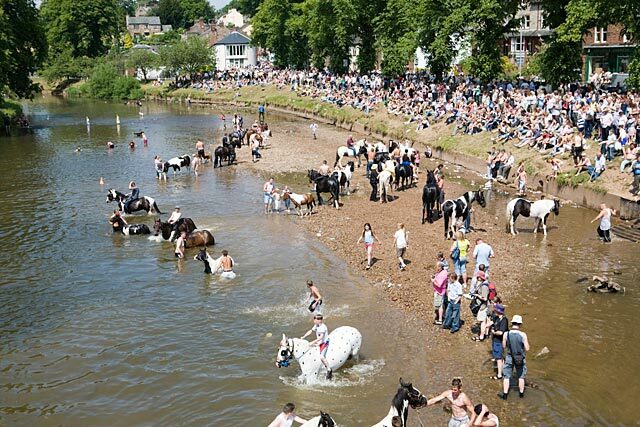 During the Fair, horses may be found everywhere – in the river, on its banks, along the roadsides or tethered outside hotels and shops. 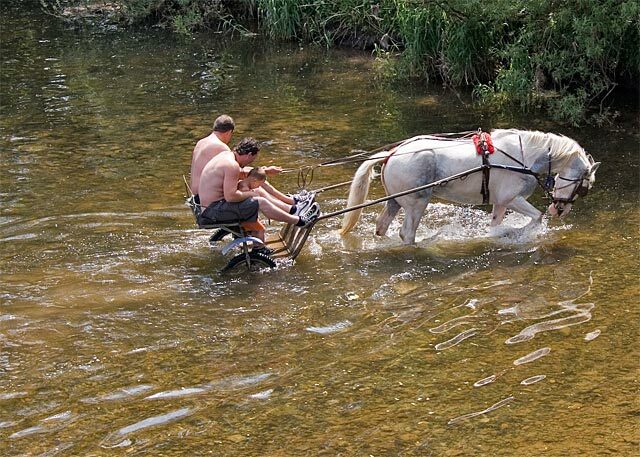 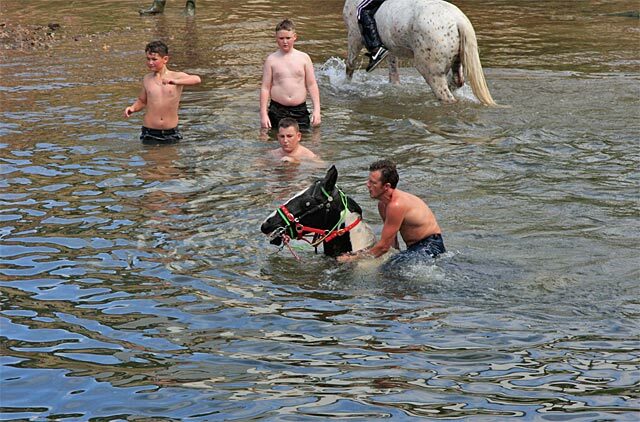 Young people wash the horses in the River Eden and are then ready to show them off. 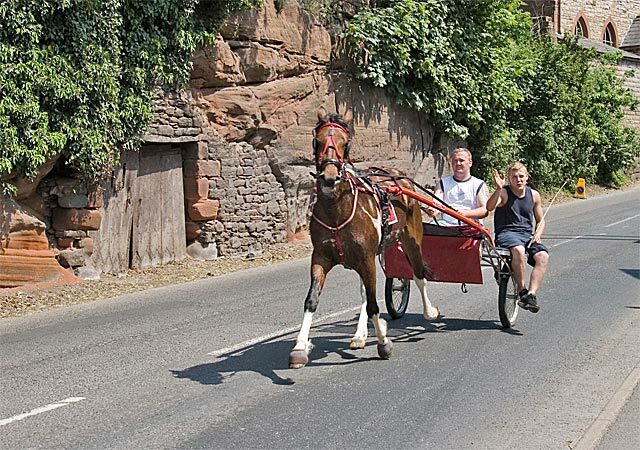 The tradition of racing and trotting the horses along Flashing Lane takes place throughout the day. 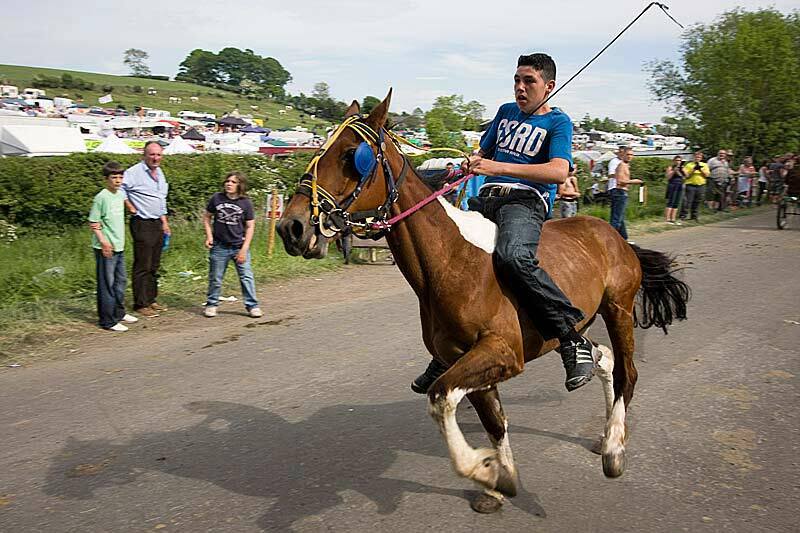 The official website www.applebyfair.org sets out all the arrangements leading up to and during the Fair to help you plan your visit and make it safe and enjoyable. 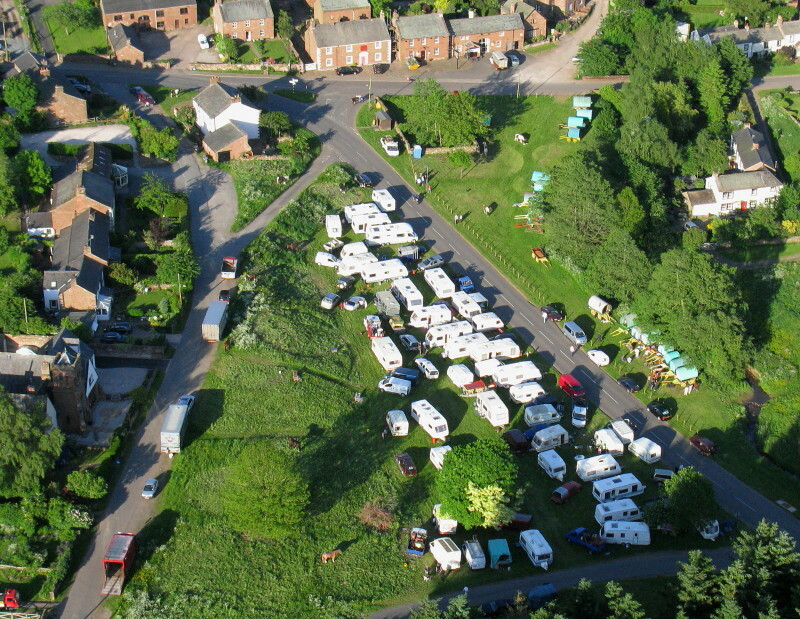 Aerial photos by Simon Ledingham. 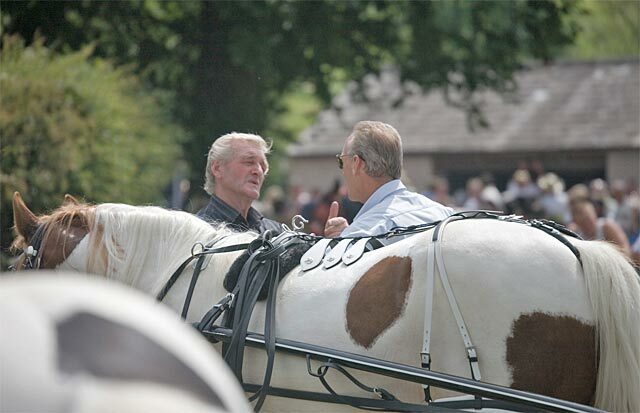 Other photos by Andy Hibbert. 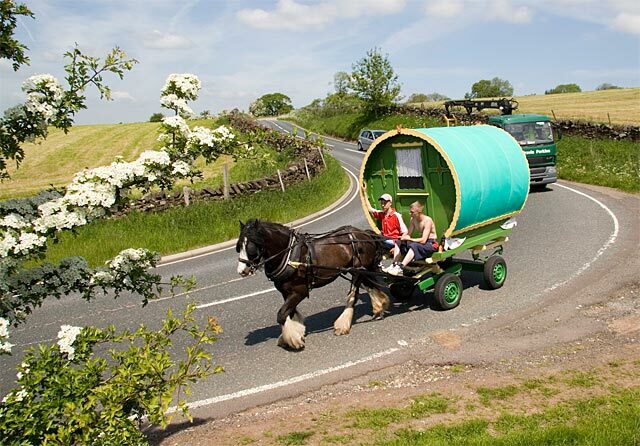 BBC Cumbria – photos 2008. 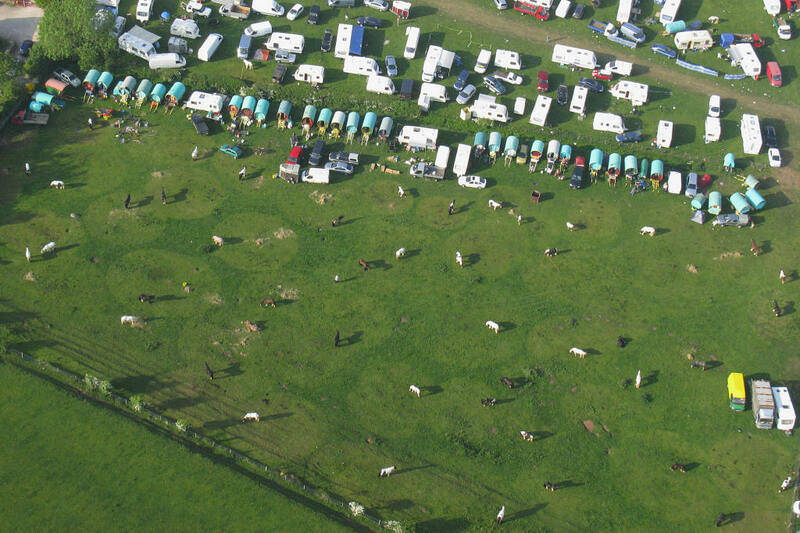 BBC Cumbria – photos 2007.